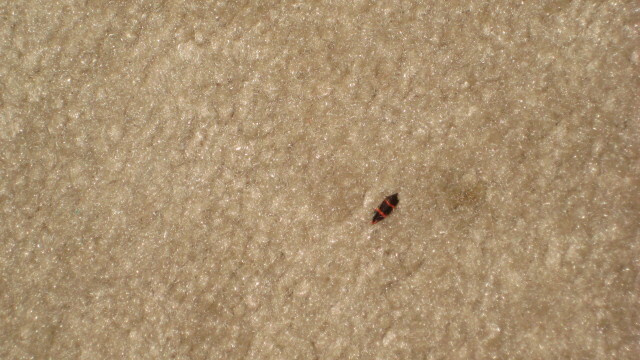 Have you noticed fleas hiding inside your carpet? It’s estimated that only 5% of a typical flea infestation’s population is comprised of adults. So if you notice 5 fleas in your carpet, there’s at least 95 others — in different stages of their life cycle — elsewhere. This is one of the reasons why fleas are so resilient and able to survive in a wide range of different atmospheres. With a little bit of work, however, you can effectively rid your carpet of these blood-sucking parasites and regain control control of your home. The first step in your battle against fleas is to vacuum. Most homeowners automatically assume the best solution to their flea infestation is to purchase foggers, flea bombs, pesticide sprays or similar products. While products such as these may offer some initial relief, they won’t prevent the fleas from coming back. A safer and arguably more effective method is to vacuum your carpet using a high-suction vacuum cleaner. One university study found vacuuming to eliminate up to 96% of the flea population. When vacuuming your carpet, it’s recommended that you pull out any furniture, rugs or other furnishings covering the floors. It’s not uncommon for fleas to hide in these areas during the day and come out at night to feed. By vacuuming every square inch of carpet, you’ll naturally eliminate a greater percentage of the population. And when you are finished vacuuming the entire house, take the vacuum cleaner outside to transfer its contents into a garbage bag. Doing this inside the house may result in some of the fleas escaping back into your carpet. Vacuuming will help significantly in your battle against fleas, but it may not prevent them from reproducing and thriving. To eliminate the remaining fleas inside your carpet and home, you should focus on creating an environment that’s unsuitable to them. Fleas thrive in warm, humid environments of 70 degrees or higher Fahrenheit and with a relative humidity of 50% or higher. Therefore, lowering your thermostat below 70 degrees and installing a dehumidifier will deter these pests from residing inside your home. If you’re still struggling to control fleas in your carpet, check out some of the previous articles we’ve published here at FleaBitesonHuman.com. We offer tons of helpful guides and how-to articles regarding flea infestations. Have any other flea-fighting tips you’d like to share with our readers? If so, leave them in the comments section below!